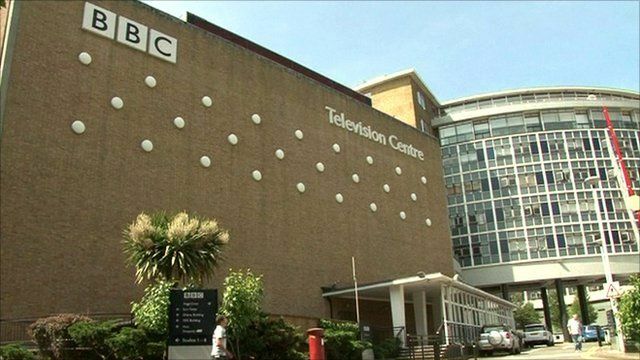 The BBC has announced the sale of one of Britain’s most iconic buildings: Television Centre. For me that vast circle of studios, like a giant question mark topped by glass-fronted offices, stirs up mixed emotions. Set in the wasteland of Shepherds Bush, within spitting distance of QPR’s football ground, it was the scene of the highest points of my BBC career, and also the lowest. For this was where, in 1971, I spent the most miserable Christmas of my life. As a student desperate for any start in television, I’d secured a vacation job in the mailroom. They put me in a section called “Incoming Mail”. There were 15 middle-aged women and me. Our job was to open every letter sent to the BBC. Quite why we had to do this, we weren’t sure. Nobody actually told us to look for anything – like evidence of communists, Payola, or ITV headhunters. We just opened the envelopes, stapled them to the contents, and put them in mailboxes to be delivered by men with trollies round long the circular corridors. This repetitive job turned out to be a perfect career springboard. For, by surreptitious reading of the mail, I soon identified all the key producers. All I had to do was meet them. The head of the mail service, a man called Mr Beasley, with a voice of gravel and a heart of gold, took me under his wing and let me play the “lost post” game. If I spotted a letter to a person I wanted to meet, he let me hold it back from the mail run and go upstairs to deliver it myself. In this way I met the man who gave me my first proper job after university. In the 1970s ‘TC’, as it was called to all who worked there, was the most exciting place in the world. The circle comprised 8 busy studios – 4 large, 3 small, and, at the bottom of the question mark, behind the familiar BBC Television Centre sign, the biggest studio in Europe, a cavernous space full of lights, cameras and memories called TC1. In my meal breaks I would rush upstairs to the observation galleries and watch the filming of Top of the Pops and Doctor Who. Sometimes friendly studio managers let me inside to see some of the most famous names on television performing their stuff: from Morecambe & Wise to The Two Ronnies. 10 years after I joined the mailroom, I became the director of the General Election, the largest programme ever produced from the building, which simultaneously utilised every studio except TC1. That had been reserved for an entertainment series called “The Hot Shoe Show”. I was the producer of that programme too. This was undoubtedly the high point – the following year I handed in my resignation and started my own company. But, back in 1971, my enthusiasm for life in this incredible building was marred by an unfortunate incident involving, as happened all too often in my life, a beautiful woman. At university I had fallen in unrequited lust for a blond first-year called Nicky. Having pointedly shunned my advances all term, one day she asked if we might share a flat in London over the holidays. As the only ‘flat’ we could afford was a single-roomed bedsit, I couldn’t believe my luck. I’d be sharing a room with the most beautiful girl in the world: it was the best Christmas ever. Sadly, on the first night, my world disintegrated. Paul, tanned and Australian, lived in the room next door. It took him less than 20 minutes to seduce my Nicky. The walls were very thin. On New Year’s Eve they stayed in for a night of romance and I trudged, in freezing rain, to seek solace in the bar at Television Centre. It was shut. By 2015 it will have closed forever: but the memories remain.